THIS IS IT! Spectacular Castlewood home built for entertaining. The amazing interior is graced with soaring ceilings, fabulous marble tile flooring, gleaming hardwood floors, designer finishes, & features a modern granite & stainless kitchen.The elegant living room features soaring ceilings & marble fireplace & the formal dining room opens to the beautiful front courtyard with double French doors. The expansive family room features a stone fireplace and opens to a balcony overlooking the yard. The expansive master suite features a fireplace & jetted sunken tub. The lower level features a fantastic In-law suite with separate entry and full bath plus a bonus room. Plus a bedroom suite downstairs & two additional bedrooms. 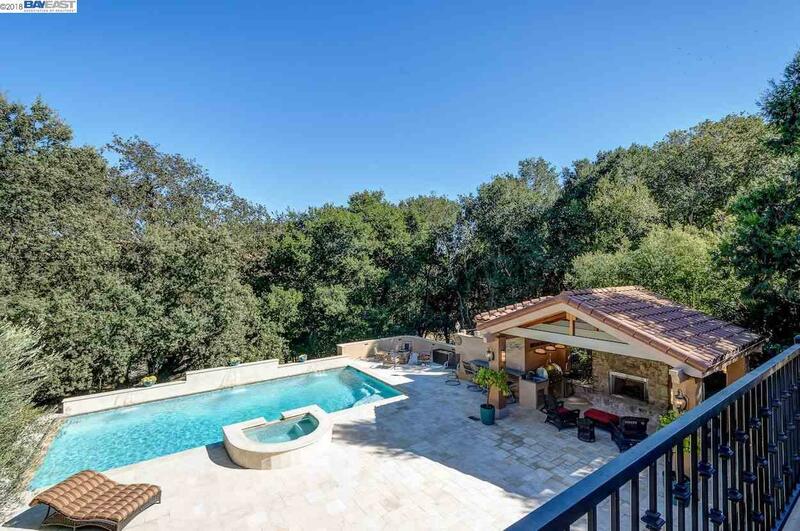 The back yard is an oasis featuring a stunning loggia with outdoor kitchen & full bath including outdoor shower, plus sparkling pool with spa & waterfall, gorgeous oak trees. While it seems you are a world away, you are you are minutes from schools, parks, & shopping.